A few weeks ago I stumbled across this photography project by Henry Hargreaves called No Seconds. Intrigued by the tradition of offering Last Meals to condemned prisoners, Hargreaves set out to recreate and photograph meals requested by some of America’s most notorious murderers. It’s morbidly fascinating, go look, I’ll wait. The single olive with the pit in it! Outrageous! Which would you choose? Has to be John Wayne Gacy’s meal amirite?! So much fried chicken. 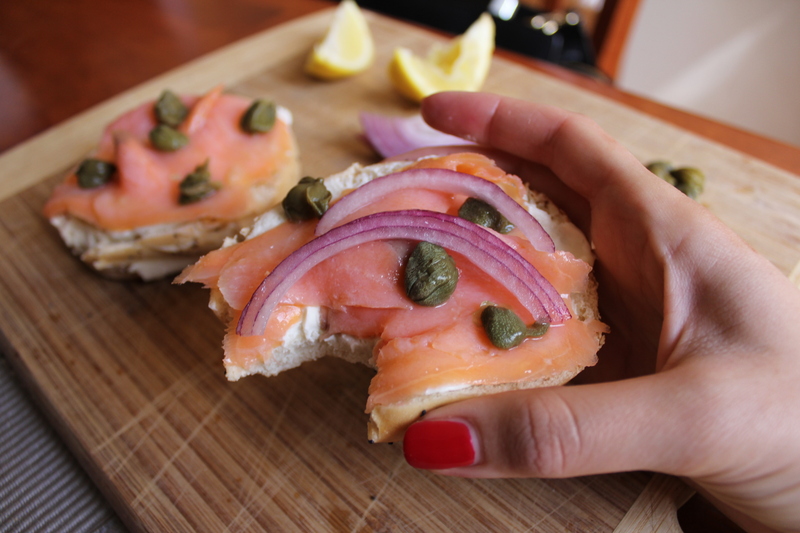 A warm poppy seed bagel with lashings of Philadeplia cream cheese (full fat if I’m going to die shortly after), layers of smoked salmon and capers dotted on the top, drizzled with lemon juice. Sometimes I like onion too. I don’t remember when or why I started loving this meal so much. My Mum is Canadian, so fortunately we’ve always been around bagels. 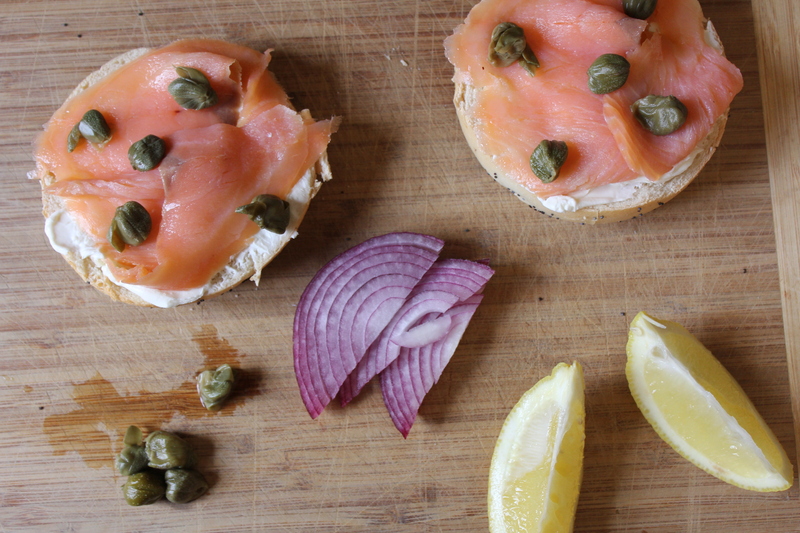 I remember loving smoked salmon from a very early age and I suppose everything just came together. I make sure I always have this for breakfast on my birthday. Now if it really was my last meal I would probably have to throw in a basket of thick cut fries, some olives, blue cheese and a packet of salt and vinegar chips. Oh and some pulled pork sliders. And a chilli dog. All washed down with a bottle of Moet… Too outlandish? Unfortunately I didn’t have all these things on hand when I photographed my breakfast last Saturday. Now I’m handing it over to you: what would you last meal be? 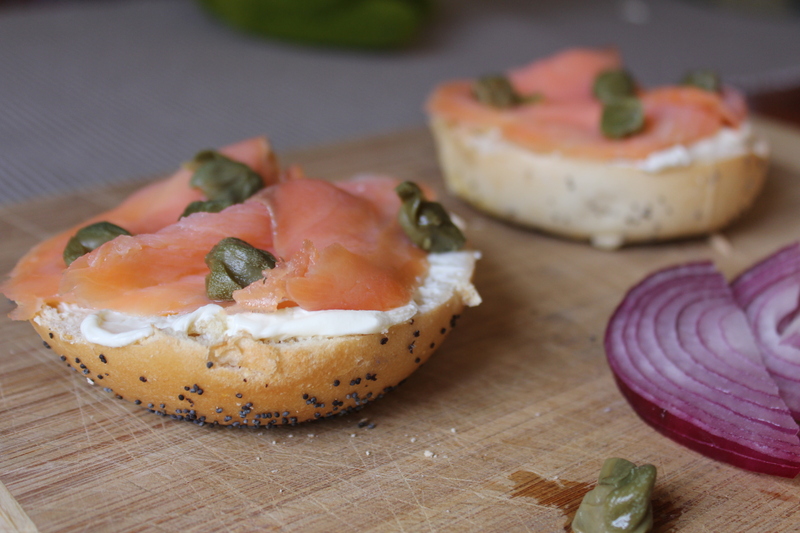 This entry was posted in Food and tagged Bagel, Bagel with smoked salmon and cream cheese, Food, Last Meal. Bookmark the permalink. 6 Responses to What would your last meal be? I made a collage of the food of my last meal—it might take a couple of days to eat…. but how can I show you? can pics be attached here? My goodness! That looks AMAZING. And yes I think it would take a few days to finish… I would start with the salami and assorted meats… Then move onto the cheeses… I’m so hungry now. Wow what an interesting project. This is a reoccurring topic of conversation in our household, with various constraints each time. How many courses? Which nationality? Which season? Time of day? haha too much of a foodie household. Being English, i’d have to say a full roast dinner (chicken) followed by apple crumble.